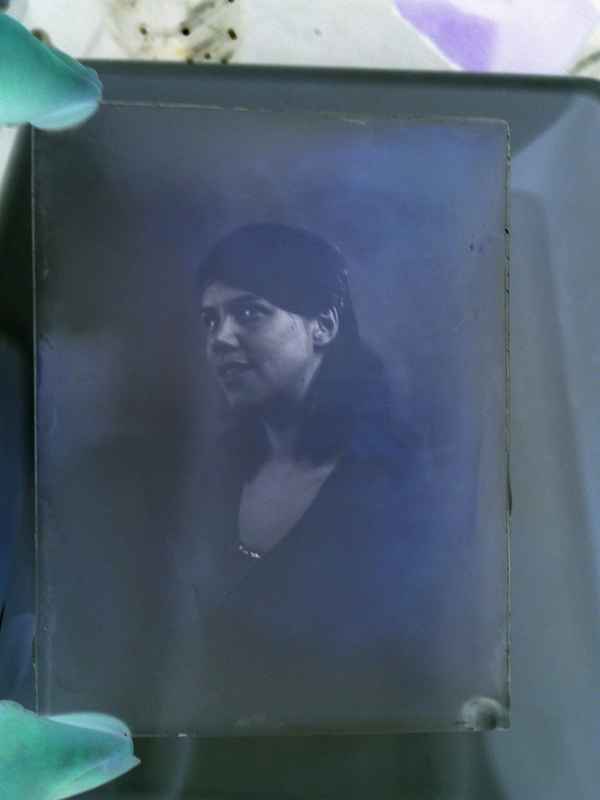 I regularly run Dry Plate workshops at Streetlevel Photoworks in Glasgow. The weekend workshop covers how to cut and prepare the glass, and then coat with light-sensitive emulsion. Learning how to cut the glass means participants can make plates to fit any size camera, I use 5×4 for the workshop. The course also covers shooting with large format cameras and paper negatives, so much cheaper than film, and a great way to test for exposure prior to shooting on plate. Next course will be in May 2018 at Streetlevel Photoworks in Glasgow, booking via this link. Courses coming in London soon, watch this space. Artist Residency at W W Winter Photography Ltd the longest running photography studio in the UK. In 2013 I created a self-initiated artist residency at WW Winter Photography Ltd, working with and making responses from their glass plate collection. This residency was funded by Arts Council England and Derby City Council. Throughout WW Winter Photography’s long history they have explored and innovated in every form of photography, from ambrotypes to gas light enlargers, dry plate to digital and everything in between. As part of my residency I learnt how to make and shoot on glass; a process from the 1860s which is now almost lost. Shooting on glass has since become a core part of my practice and I now teach this process in darkrooms across the country. During my residency I wrote a successful bid to Heritage Lottery Fund for over £50,000 to start an archiving project in an aim to preserve and protect the photographic collection. On my very first visit to Winter’s I was told of a story that during World War II there was a glass shortage, and as part of the ‘Dig For Victory’ campaign W W Winter Photography gave many of their large glass plate negatives to the Derby public to be made into greenhouses. This story of the Derby public gardening and growing fruit and veg under negative portraits was captivating, the image of negative greenhouses across the city was an enchanting one, and one that had to be re-made. The images used to make the greenhouse are from negatives discovered behind a false wall at W W Winter’s, it seemed fitting to use these beautifully decayed images to echo the negatives that are now missing from their archive due to being given away to be made into greenhouses. The exhibition which was recently exhibited at FORMAT International Photography in March 2015, brings together two visual stories of the Winter’s archive. The negative greenhouse and the second story Derby Anon is one of the tens of thousands of unprovenanced glass plate portraits held at Winter’s. I invited people who share a physical resemblance to a Winter’s portrait to be photographed against the same backdrop, in the same studio, on glass, just as the original portrait was taken. Left, new image shot on glass by Debbie Adele Cooper. Right, WW Winter image c1890s. Both photographs were shot on glass in the same studio over 100 years apart. Left, new portrait shot on glass plate by Debbie Adele Cooper. Right WW Winter Photography image from 1940s. Both photographs were shot on glass in the same studio, using the same backdrop more than 70 years apart. 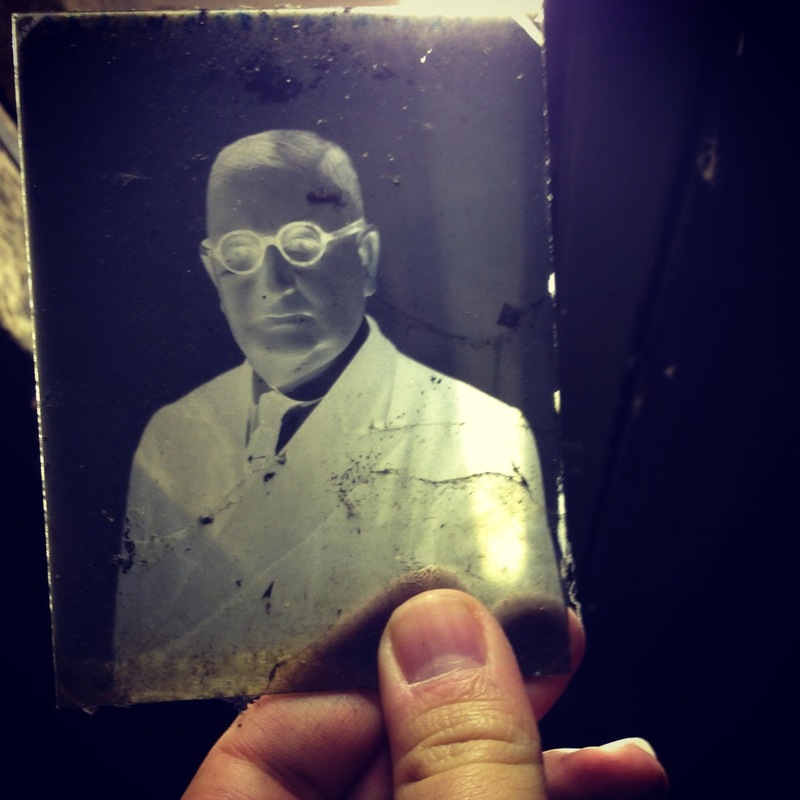 glass plate negative and inverted image, glass plate hand coated and shot by Debbie Adele Cooper. By pairing people through time, we draw a little closer to the original portrait sitter, seeing through the aesthetic of a different era to the person they might once have been. Update: In June 2016, I raised £40,000 from Heritage Lottery Fund, with supporting funding from FORMAT International Photography Festival and Derby Museums and Art Gallery to show a retrospective of W W Winter Ltd during FORMAT 17, the work will be on show in Derby Museums & Art Gallery from 23rd March 2017.